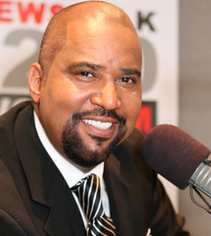 In 2014…Journalist/associate minister/Detroit radio personality (WCHB 1200 AM) Angelo Henderson, who served two terms as a parliamentarian of the National Association of Black Journalists and was the only African-American reporter to win a Pulitzer Prize for The Wall Street Journal (1999), died at the age of 51. He had been recovering from surgery conducted last month to repair a quadriceps tendon rupture. Henderson hosted the morning weekday WCHB radio show "Your Voice with Angelo Henderson," focused on Detroit issues and a daily rundown of area crime. In 1876…Alexander Graham Bell filed an application for a patent for the telephone. In 1971...WABC 95.5 FM becames WPLJ. The station went on the air on May 4, 1948 under the call sign WJZ-FM, and in March 1953, the station's call letters were changed to WABC-FM following the merger of the American Broadcasting Company with United Paramount Theatres. As most FM stations did during the medium's formative years, 95.5 FM simulcasted the programming of its AM sister station. In the early 1960s, however, WABC-FM began to program itself separately from 77WABC-AM. During the 1962–63 New York City newspaper strike, the station carried an news format for 17 hours daily. Two-and-a-half years before WINS launched its own around-the-clock, all-news format in April 1965, it was the first attempt at an all-news format in the New York market. This was followed by stints with Broadway show tunes and general freeform programming, including broadcasts of New York Mets baseball games. WABC's AM personalities, notably Dan Ingram, Chuck Leonard, and Bob Lewis, hosted programs on the FM side which were the total opposites of the Top 40-powered sound for which they were better known on AM. WABC-FM did continue to simulcast its AM sister station during Herb Oscar Anderson's morning drive program. At the start of 1968, ABC split its radio network into four distinct components, one of which was dedicated to FM radio. The following year, WABC-FM and its sister stations–KABC-FM in Los Angeles; WLS-FM in Chicago; KGO-FM in San Francisco; WXYZ-FM in Detroit; KQV-FM in Pittsburgh; and newly acquired KXYZ-FM in Houston–began carrying an automated, youth-oriented, progressive rock format known as Love. In late 1970, Allen Shaw, the then-president of ABC's FM station group, announced two big changes for 1971: ABC would drop Love and install completely live-and-local, freeform rock formats, and would also apply for call letter changes for the seven stations. The New York outlet was slated to be renamed WRIF, but a clerical error on the part of the FCC resulted in those calls being awarded to the former WXYZ-FM (the present-day WRIF) in Detroit–whose own request for WDAI was itself given mistakenly to WLS-FM in Chicago–leaving WABC-FM to start from scratch for its own rebranding. 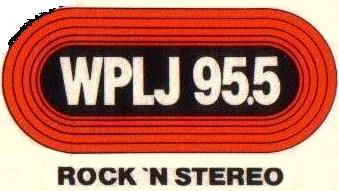 On February 14, 1971, the station's call letters were changed to WPLJ, chosen after Allen Shaw noticed the letter combination as the name of a song on the 1970 Mothers of Invention record, Burnt Weeny Sandwich. The song, "W-P-L-J", was originally performed by the Four Deuces in 1955 and stood for "White Port and Lemon Juice". On the air, the station hired John Zacherle, Vin Scelsa, and Michael Cuscuna (from WMMR and WXPN in Philadelphia) as personalities. In September 1971, Allen Shaw and ABC Programming Executive Bob Henaberry designed and pioneered the very first AOR (album oriented rock) format on WPLJ, playing only the best cuts from the best selling rock albums with a minimum of disc jockey talk. The slogan of the station was "Rock 'N Stereo". The station would play the music of artists such as Led Zeppelin, The Beatles, Aerosmith, Jimi Hendrix, Cream, The Doobie Brothers, Steely Dan, Elton John, Deep Purple, Billy Joel, Rod Stewart, David Bowie and The Allman Brothers. The station would also play pop songs from artists such as James Taylor, Stevie Wonder and Carly Simon. The station was different from Top 40 stations (such as co-owned WABC) in that they played more album tracks. The audience ratings shot up dramatically, and WPLJ became New York's most listened-to FM rock station for most of the 1970s. In 2013…Record producer (Leader Of The Pack, In-A-Gadda-Da-Vida, Society's Child, I Can Never Go Home Anymore, Give Him A Great Big Kiss, Vanilla Fudge's You Keep Me Hangin' On)/songwriter (Leader Of The Pack, Remember-Walking In The Sand, I Can Never Go Home Anymore) George "Shadow" Morton died of cancer at the age of 71. 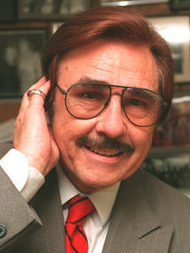 Gary Owens, a radio disc jockey from the Midwest who became nationally famous as the on-screen announcer of the hit TV series “Rowan & Martin’s Laugh-In,” died Thursday at his home in Encino. He was 80, according to the LA Times. The cause was complications of diabetes, said his son, Chris. Cupping his ear like an old-time radio announcer and saying in his deep tones he was speaking from “beautiful downtown Burbank,” Gary Owens was one of several performers who parlayed appearances on “Laugh-In” into a long career. He was also the announcer for numerous other shows, including “The Wonderful World of Disney” and “The Gong Show,” and was in demand as a voice-over artist. After studying at Dakota Wesleyan University in Mitchell, he worked for radio stations throughout the Midwest, and in Dallas, New Orleans, St. Louis and San Francisco. In 1961, he became a disc jockey at KFWB 980 AM in Los Angeles, later moving to KMPC 710 AM, where he worked for two decades. Owens fell into television as a writer for several of the animated series produced by Jay Ward, the creative force behind the Rocky and Bullwinkle cartoons. Hearing his sonorous voice, the producers quickly conscripted him as a performer. 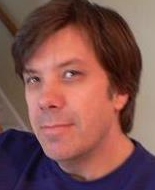 Rick Strauss has been named Program Director for WIYY 97.9 FM /98 Rock. The move marks a return to WIYY for Strauss, who served as the station’s Program Director from 1994 to 2002. The appointment was announced today by Cary L. Pahigian, President and General Manager of WBAL-AM and WIYY-FM. Strauss is set to begin on February 24th. Since 1977, WIYY-FM “98 Rock” has been a leader in the music industry, and is today’s FM home of the Baltimore Ravens, and the market’s #1 morning show. 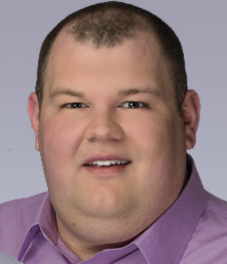 Strauss re-joins WIYY after more than ten years at iHeartMedia (formerly Clear Channel Media + Entertainment) in New York, where he most recently served on the National Programming Platforms team as Senior Director of Digital Music Programming, developing content for iHeartRadio including artist-hosted stations and branded channels for marketing and advertising partners. Previously, as Director of Marketing and Content for Clear Channel Radio Digital, he worked directly with the company’s local markets to grow their online and mobile audiences and played an integral role in the launch of syndicated on-demand programming and national digital initiatives. 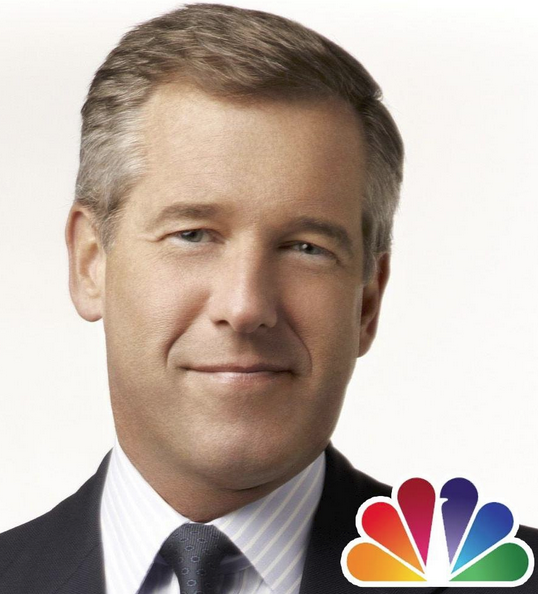 Brian Williams' future at NBC News may hinge on just how many other examples of exaggerations and fibs are found. The network's internal fact-checking investigation is "nowhere near done," a senior NBC source told CNN Thursday. It has widened beyond just Williams' initial errors about a 2003 Iraq War mission to include other possible misstatements, but the network has not commented on any particular ones. When he apologized last week for his on-air error about the Iraq mission, he chalked it up to innocent "misremembering." But others have implied something more malicious. On Thursday The Huffington Post identified questions about Williams' claims of flying into Baghdad with SEAL Team 6 and about "war memorabilia the anchor claims to have received as gifts, including a Navy SEAL's knife and a piece of the helicopter from the raid that killed Osama bin Laden." CNN analyst Peter Bergen said on "Anderson Cooper 360" that he was told by sources in the Seal community that it would be impossible for Williams to have ever traveled with Seal Team 6. "We do not embed journalists with any elements of that unit ... bottom line -- no," one Special Operations Command official said. In the case of the memorabilia that Williams says he received from "his friends" in the Seal community: "that doesn't pass any sniff test," another Seal officer told Bergen. 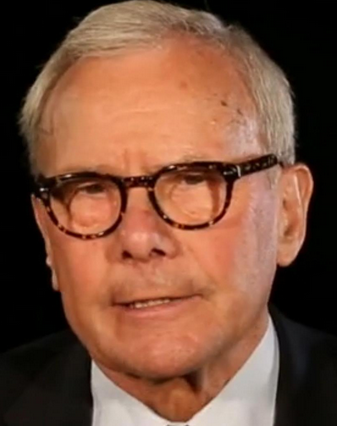 Former NBC Nightly News anchor Tom Brokaw had been warning colleagues for at least a year about the truth of Brian Williams' story about the Army helicopter he was riding in being hit by a rocket-propelled grenade in Iraq in 2003, NPR's David Folkenflik reported. Brokaw reportedly looked into the incident involving his successor in the NBC News anchor chair himself and concluded that, quote, "the facts simply didn't match." Folkenflik also reported that Brokaw sees Williams as, quote, "more of a performer than an anchor." NBC suspended Williams on Tuesday for six months without pay, and an investigation into his statements is continuing. 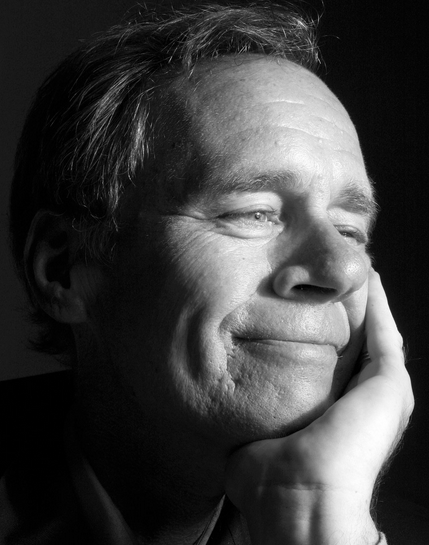 David Carr, a writer who wriggled away from the demon of drug addiction to become an unlikely name-brand media columnist at The New York Times, and the star of a documentary about the newspaper, died on Thursday in Manhattan. He was 58. Mr. Carr collapsed in The Times newsroom, where he was found shortly before 9 p.m. He was taken to St. Luke’s-Roosevelt Hospital, where he was pronounced dead. Earlier in the evening, he moderated a panel discussion about the film “Citizenfour” with its principal subject, Edward J. Snowden; the film’s director, Laura Poitras; and Glenn Greenwald, a journalist. More recently he was best known for The Media Equation, a Monday column in The Times that analyzed news and developments in publishing, television, social media — for which he was an early evangelist — and other mass communications platforms. His plain-spoken style was sometimes blunt, and searingly honest about himself. 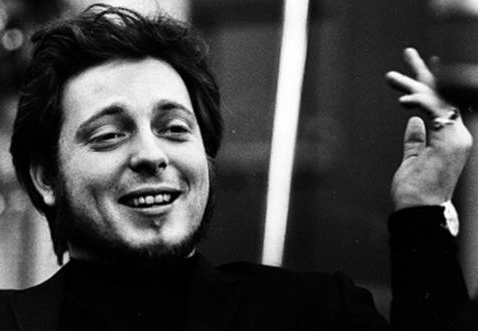 The effect was both folksy and sophisticated, a voice from a shrewd and well-informed skeptic. In a statement, Arthur Ochs Sulzberger Jr., The Times’s publisher and chairman said: “David Carr was one of the most gifted journalists who has ever worked at The New York Times. It has not been a good week for media people. Now comes word that longtime TV correspondent for NBC News Robert Hager was involved in a car accident Thursday afternoon. Police say he and his wife, Honore, were traveling on Route 11 in Peru, Vermont, when another car crossed the center line and hit them head on. Robert was not injured; his wife was hospitalized with possible back and neck injuries. The Woodstock native was a correspondent for NBC Nightly News for 35 years. Hager began his career in 1960 by reporting for radio stations in Lexington, NC and Raleigh, NC. He moved on to local television soon after, reporting for WBTV in Charlotte, North Carolina and NBC-owned WRC-TV in Washington, DC, before landing a job at NBC News. Hager started out his career as a foreign correspondent in June 1969, reporting on the Vietnam war. He was soon assigned to NBC's Berlin bureau, where he continued to cover other foreign trouble spots, including the overthrow of the Iranian Shah in 1979 and the 1989 invasion of Panama by U.S. troops. Hager also covered four Olympic games for NBC, reporting from Germany during the Black September terrorist attacks of the 1972 Summer Olympics in Munich. In 1984, he was arrested while reporting from the Democratic National Convention in San Francisco. During the latter part of his career, Hager's focus shifted from foreign affairs to a wide range of domestic issues. Hager persuaded NBC to relocate him to the Washington DC bureau, but because all of the traditional political beats had already been filled, he decided to mold himself as a "consumer reporter." Hager had a unique sense of urgency in his reporting style which helped him carve out a niche in the areas of weather and transportation, aviation in particular. He reported on many major airline accidents, including TWA Flight 800 and Pan Am Flight 103. He also covered many of the major hurricanes that hit the United States during his 35 year tenure. During his years at the DC bureau, Hager became one of the most visible reporters on television. Although he retired from daily reporting on November 5, 2004, Hager continued to file occasional reports for NBC News. He returned to the air to help cover the 2006 coal mine disaster in West Virginia. Because of his expertise in aviation accidents, Hager came back again to NBC Nightly News to report on the August 27, 2006 crash of Comair Flight 5191 and the October 12, 2006 plane crash that killed Yankees pitcher Corey Lidle. He also made an appearance on August 2, 2007 for the Minneapolis Bridge collapse. 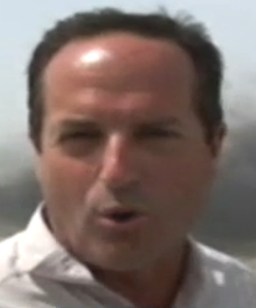 In March of 2014 he again returned to NBC to report on the loss of Malaysia Airlines flight 370. 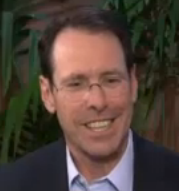 Hager returned to the air again in July of 2014 (on MSNBC) to provide his expertise and commentary on the shoot down of Malaysia Airlines Flight 17, in which 298 people died. 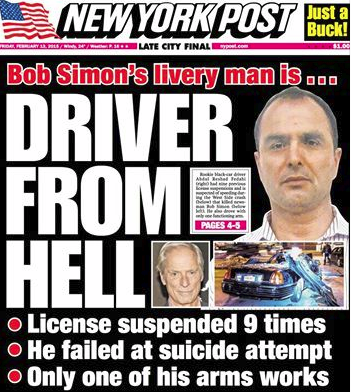 CBS newsman Bob Simon’s black-car driver was a rookie with nine license suspensions who is suspected of speeding during the fatal crash — and had just one hand on the wheel because he had a “dead” left arm from a suicide attempt, sources said Thursday. According to The NY Post, investigators believe Abdul Reshad Fedahi, a 44-year-old Afghan immigrant who lives in a homeless shelter, mistakenly hit the gas instead of the brake after sideswiping a car on the West Side Highway at about 6:45 p.m. Wednesday, law-enforcement sources said. “He hit the gas pedal instead of the brake. 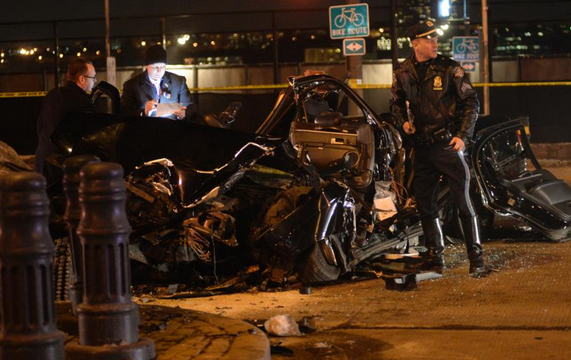 He sped up after hitting the car,” a law-enforcement source told The Post. “There were no skid marks,” a source said. The Lincoln Town Car had been heading downtown in the left lane. It appeared to have been speeding — going up to 50 mph in a 35 mph zone — when it grazed a Mercedes-Benz C30 driven by Zachary Miller, 23, in the center lane near West 30th Street, law-enforcement sources said. The Town Car then veered to the left, slamming into the metal barriers, or bollards, that separate the highway’s northbound and southbound lanes, sources said. Simons, a “60 Minutes’’ correspondent and legendary war reporter, was sitting in the rear seat without his seat belt, sources said. He suffered a broken neck and severe stomach and head trauma. During a 2012 60 Minutes report, CBS correspondent Bob Simon spoke with the mayor of Tel Aviv. And during a portion of the excerpted conversations, Ron Huldai suggested to Simon that the risk-climate equivalent in the reporter’s hometown of New York City involved not missiles but potential car accidents. 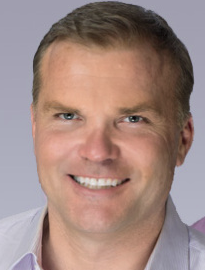 WBZ 98.5 FM /The Sports Hub announced Thursday that Marc Bertrand will join Scott Zolak as co-host on the new “Zolak and Bertrand” show which will premiere on Tuesday, February 17 and air weekdays from 10:00AM to 2:00PM. 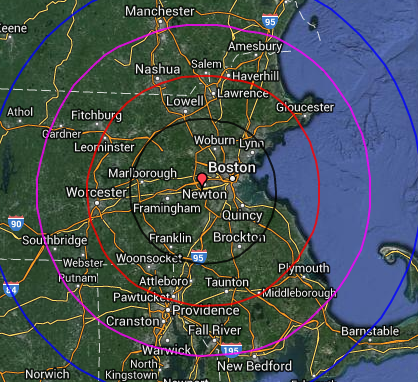 The show is also available online at www.cbsbostonsports.com or by downloading the Radio.com app for mobile devices. “Marc’s unique opinion on the topics of the day, his local background, and his sense of humor will bring a new, entertaining twist to the midday show,” said Mike Thomas, Vice President, Programming, CBS RADIO Boston & Vice President, Sports Programming, CBS RADIO. Beasley Media Group/Charlotte Operations Manager Terri Avery has left the building. She also handled programming for Urban WPEG 97.9 FM /Power 98 and Urban AC WBAV 101.9 FM. Prior to Beasley acquiring the cluster in December, she spent 14 years with former owner CBS Radio. In September, 2009, Avery was named the recipient of the first Annual MIW Radio Group "Achievement in Programming" Award. She was named the cluster's OM in March, 2103. 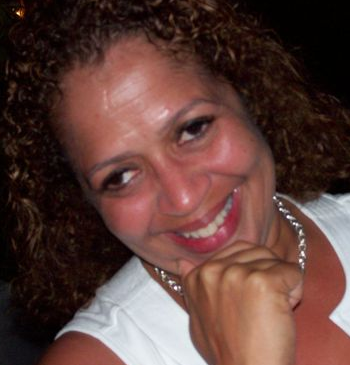 PreviouslyAvery was PD of WFXE-FM, WKZJ-FM and WOKS-AM/Columbus, GA and she served as Director of Programming for Radio One's WWIN-FM/Baltimore, WMMJ/Washington, WERQ/Baltimore and WWIN/Baltimore. She started her career at radio station WWRL in New York City as an intern. She was then named assistant music director and worked part time on the air. Her career took her to Dallas where she worked as a midday on-air personality at KKDA-FM, later becoming music director and then assistant Program director. After 10 years at KKDA, she added more credits to her resume in Texas working at KMJQ in Houston as program director, before returning to KKDA as Operations manager and entertainment reporter for the then, local, Tom Joyner Morning show. She’s done a stint in the record business with Mercury records before going to WWIN/WERQ in Baltimore. Soon after becoming Director of Programming for Radio One. After 6 years, she went to work at the National Association of Broadcasters in Washington, DC. After a year there, she got recruited to work for Davis Broadcasting in Columbus, GA as Program director of WFXE, WOKS, and WKZJ. Terri, then got recruited by CBS Radio in Charlotte to be Program director of WBAV. After a year as Program director at WBAV, she was promoted to Program director over the three urban stations in Charlotte, WPEG, WBAV and WGIV. WBAV/WPEG consistently reign in the Top 7 in Charlotte Arbitron ratings, the system that measures radio listening in Charlotte, Gastonia and Rock Hill. 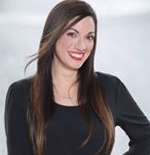 Deena Lang, a longtime morning cohost at WEAT 107.9 FM /SunnyFM in West Palm has been let go, according to GossipExtra.com. Palm Beach Broadcasting, which owns SunnyFM, along with WRMF 97.9 FM and Country WIRK 103.1 FM, has not commented. But Lang has been scribbed from the station's website. The move leaves Jennifer Ross and Bill Adams alone on weekday mornings. The move surprised local radio insiders. 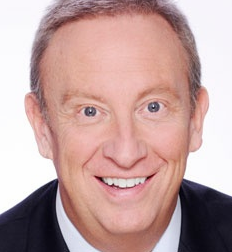 Palm Beach Broadcasting, owned by Dean Goodman, cut midday personality Keith Van Allen from WIRK last April, WRMF morning star Joe Raineri in July and other lower profile people in the fall. The FCC has approved the deal to allow One Putt Broadcasting — owners of the local radio stations KJWL 99.3 FM /Jewel FM, KFIG 940 AM /ESPN, KYNO 1430 AM and KFPT 790 AM /ESPN2 — to add three more stations to its group. One Putt Broadcasting took over daily operations of the three FM stations in November but the deal wasn’t final until the FCC ruling. 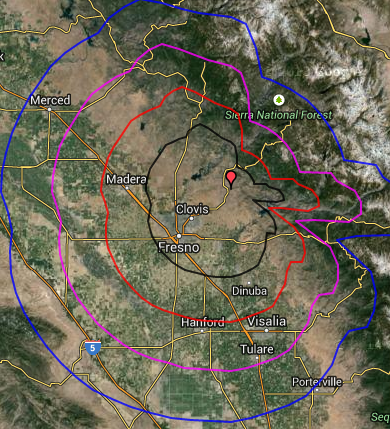 Now, changes can be made, according to The Fresno Bee. One Putt partner John Ostlund says there’s not a lot of work to be done. There won’t be much tinkering with 95.7 The Fox or New Rock 104.1. Ostlund is happy with the formats, especially with the strong ratings produced by the nationally syndicated show “Bob & Tom” that airs mornings on The Fox. One big change will be an increase in marketing for the new added stations. This includes 50 billboards promoting New Rock. There is some major tinkering planned for 105.5 The Game, but those changes won’t be announced for a few weeks. Former 89.3 The Current midday DJ Barb Abney has joined the newly announced on-air lineup for KTWN 96.3 FM Go 96-3 the recently relaunched, Pohlad family-owned station that also airs Minnesota Twins games. According to TwinCities.com, Abney will start Monday in the 8 a.m. to noon position. Local radio veteran Brian "BT" Turner will host a specialty show from noon to 1 p.m., followed by Jason Nagel from 1 to 4 p.m. Local musician Linnea Mohn and the Current's original music director Thorn Skroch take the 4 to 8 p.m. shift. "I'm super excited to be at something from the beginning," Abney said Thursday. "It's brand new, the vision is amazing. I've never seen radio done this way before." 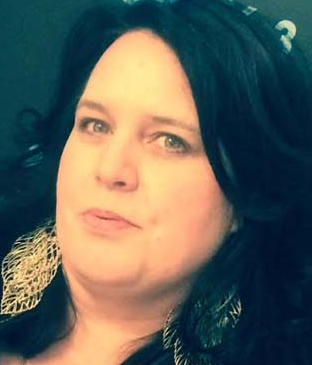 Abney was fired by the Current two weeks ago, with the station citing a "programming decision" as the reason for her termination. Listeners and fans took to social media, with many wondering why the Current let her go just days after the Minnesota Public Radio station wrapped a splashy 10-day celebration of its 10th anniversary, with Abney a high-profile participant. Dozens of fans canceled their MPR memberships in protest and Abney received thousands of calls, messages and texts from fans and supporters. Go was one of the first. "They literally reached out to me right away," Abney said. "Even though it took me a while to find that email." 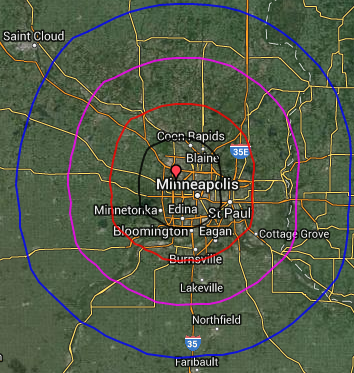 Stations in the Twin Cities and around the country contacted Abney, and she considered several options, but chose Go in part because she wanted to stay in the Twin Cities. Internet radio service Pandora is expanding its Midtown Atlanta digs, according to the Atlanta Business Journal. Oakland, Calif.-based Pandora which leases 3,000 square feet at Atlantic Station is adding about 900 square feet, according to a building permit filed with the City of Atlanta. 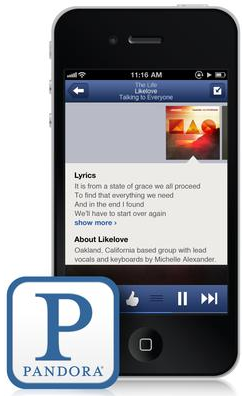 Pandora has a regional advertising and sales operation in Atlanta. Pandora has about 30 Atlanta-based employees, up from 15 a year ago. "We see Atlanta as a vibrant market and have been investing to accelerate our local advertising business," a Pandora spokeswoman said. "We'll continue to tap Atlanta's great pool of talent as we see an increasing demand for Pandora in the market." In 2013, Pandora relocated to 271 17th. Street — a 25-story office tower that anchors Atlantic Station, a nationally recognized 138-acre retail, office and condo redevelopment is attracting tech and digital media tenants. The music you listen to can say a lot about your emotional state, that's the logic behind Pandora linking the music customers listen to to their relationship status. 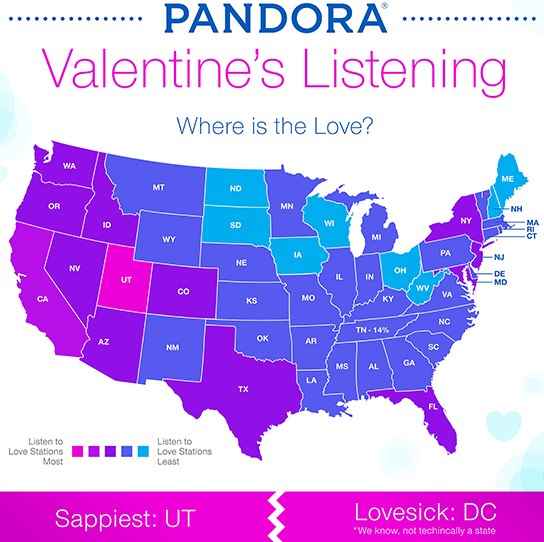 They discovered those who live in Hawaii, Washington, California, Utah, and Washtingon D.C. listened to the most "Love Sick" and "Breakup Songs" stations on Pandora. D.C. (not officially a 'state') was the most "lovesick" state in the whole country, while Utah was the sappiest. KIRO 97.3 FM and MyNorthwest.com are again Seattle's home for Sounders FC matches and programming. KIRO Radio 97.3 FM will carry all home and away matches throughout 2015. KIRO Radio will also air pre- and post-match shows surrounding all Sounders FC contests. The games will also be streamed live on MyNorthwest.com, KIRORadio.com and via the KIRO Radio app. Additionally, a 60-minute Sounders FC-focused show on KIRO Radio 97.3 FM will air at 9:00 p.m. PST every Thursday evening throughout the season during the Jason Rantz Show. "Sounders FC is becoming one of those things that makes Seattle what it is, like mountains, water, coffee and jet airplanes," said Carl Gardner, Vice President and Market Manager, Bonneville Seattle Media Group. 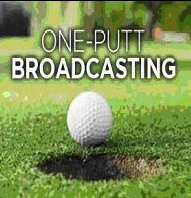 "KIRO Radio loves to offer the match broadcasts, because they are unlike anything else you'll hear on the radio. Scarves up!" Added Sounders FC Owner Adrian Hanauer, "Our relationship with the Bonneville Radio Group goes back to our inaugural 2009 season and we couldn't be happier to continue hearing Sounders FC soccer over their airwaves." Returning to the broadcast booth for a fourth consecutive season to call Sounders FC's regional matches is the duo of Ross Fletcher and Kasey Keller. The Federal Communications Commission mailed the first of its Equal Employment Opportunity (EEO) audit letters for 2015 to randomly selected radio and television stations. The FCC annually audits the EEO programs of randomly selected broadcast licensees. Each year, approximately five percent of all radio and television stations are selected for EEO audits. The audit letter being sent by the FCC requires all stations with five or more full-time employees to provide information about their EEO programs and recruiting efforts. The cover model for this year's Sports Illustrated Swimsuit Issue, Hannah Davis, defended the controversial cover at a celebration of the issue on Wednesday (February 11th). The 24-year-old model -- who's also retired New York Yankees star Derek Jeter's girlfriend -- called the backlash over the photo "just silly." One woman’s answer not only stunned the crowed but left host Steve Harvey speechless as well. When asked to “name something a doctor pulls out of a person.” The “Family Feud” contestant answered “A gerbil!” without any hesitation. Harvey and the other contestant couldn’t have had more differing reactions. The competing contestant and crowd roared with laughter. Unfortunately for the woman, “gerbil” was not a correct answer. President Obama hasn't been shy about using non-traditional ways to get his message across, including appearing on late-night talk shows and going on website Funny or Die's Between Two Ferns with Zack Galifianakis last year to promote the Affordable Care Act. 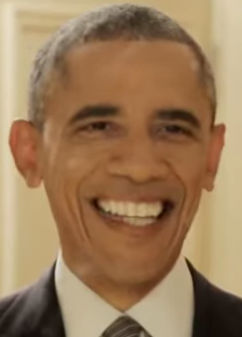 So it's not that surprising that Obama just did a funny BuzzFeed video that's gone viral to promote enrollment under the healthcare law by February 15th. The video, called Things Everybody Does But Doesn't Talk About, shows the president doing things like practicing a speech in front of the mirror, using a selfie stick to take photos and pretending to shoot baskets in the White House. But there were some people who weren't laughing. Fox News Channel's Greta Van Susteren, for one, criticized Obama for apparently making the video on the same day earlier this week that it was learned that U.S. hostage Kayla Mueller was dead and that we were evacuating the American embassy in Yemen, calling it, "so tone deaf and bad taste." Gallagher will be presented with its 108th annual SBA Heroism Award on April 9th in recognition of his ongoing support of law enforcement through his on-air broadcasts as well as the non-profit Gallagher's Army Fallen Officer's Fund. SBA President Ed Mullins explained in a letter that the Heroism Award is "presented annually to people who dedicate or have dedicated themselves to protecting the liberties and freedoms that so many of us take for granted." Mullins adds: "Your supportive actions as a member of the media exemplifies all of the virtues that make our country the greatest in the world." Gallagher said, "I am honored to be given this special award, since it further cements the connection The Mike Gallagher Show has with the men and women serving in law enforcement from coast to coast." As a 17-year-old high school senior in Dayton, Ohio, Gallagher talked his way into an on-air shift at WAVI-AM. His broadcasting career has taken him from Dayton to WFBC-AM in Greenville, South Carolina (now WORD-AM) where his ratings and revenue success led to his eventual promotion to station manager. From there, he became the afternoon drive-time leader in Albany, New York on upstate powerhouse WGY-AM. After Albany, Gallagher went to the nation's number one market, New York City, where he enjoyed a two-year stint as morning drive host on WABC-AM, the nation's most listened-to talk radio station. 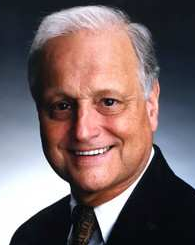 In 1998, The Mike Gallagher Show was launched nationally with twelve radio stations. The Broadcasters Foundation of America today announced the recipients of the 2015 Ward L. Quaal Leadership Awards, to be presented at the Foundation’s annual breakfast at 7:00AM on Wednesday, April 15 during the National Association of Broadcasters (NAB) Show in Las Vegas. This year, the Awards Breakfast moves to a new location, the Brahms Room in the Encore Hotel. Herb McCord, President & Owner, Granum Communications Corp.
Al Primo, Creator, Eyewitness News, Education Television Fund, Inc. The breakfast, which is complimentary to all, is sponsored by Frank N. Magid Associates, Marketron, the National Association of Broadcasters (NAB), the National Association of Media Brokers (NAMB), the Radio Advertising Bureau (RAB), and the Television Bureau of Advertising (TVB). To registration, please contact the Foundation at 212-373-8250 or info@thebfoa.org. Over the years, the Broadcasters Foundation has distributed millions of dollars to thousands of broadcasters and their families. Individual membership is only $150 a year. Individual donations can be made to the Guardian Fund, corporate contributions are accepted through the Angel Initiative, and bequests can be arranged through the Legacy Society. To learn more or to donate, please contact the Broadcasters Foundation at 212-373-8250 or info@thebfoa.org or visit www.broadcastersfoundation.org. The United Nations has declared Friday World Radio Day in celebration of radio's unique status as a "simple and inexpensive" technology with the power to reach even the most remote, marginalized communities. Radio reaches more people in places than any other medium, to connect communities, developing regions and vulnerable populations – sometimes with little other connection to the outside world. 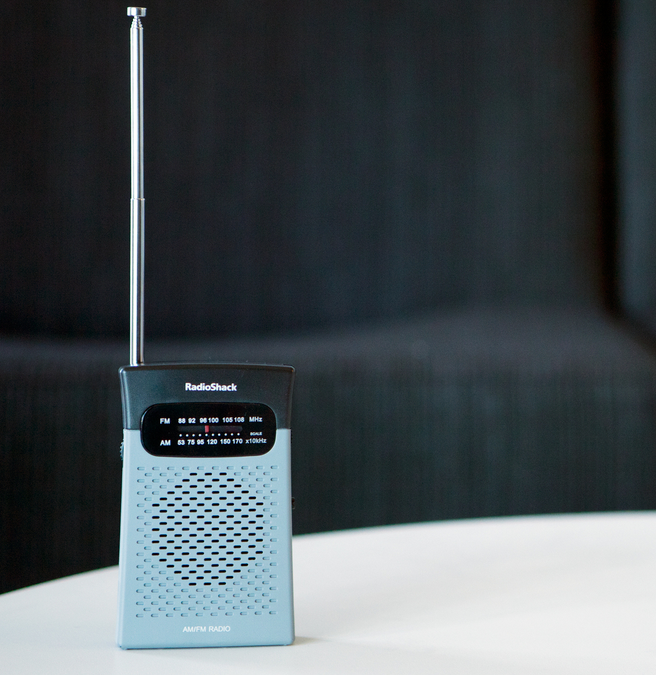 So NPR wondered — in this digital age, how hard is it to find a simple, inexpensive radio? The station's origins go back to 1922 as WAAM and 1925 as WODA. A radio institution throughout the majority of the 20th century, WNEW was known for its music selection as well as its staff of radio personalities including Martin Block, Dee Finch, Gene Rayburn, Gene Klaven, Ted Brown and William B. Williams. WNEW is credited with pioneering the role of the disc jockey, as well as for developing the modern morning radio show format and debuting the first all-night radio show. In addition to its music and entertainment programming, WNEW featured an award-winning news desk and became "the voice of New York sports" for its coverage of New York Giants football games. After years of declining ratings and management changes in the 1980s, WNEW was purchased by Bloomberg L.P. in 1992 and changed call letters to WBBR. WNEW was acquired in 1934 by advertising executive Milton Biow and watch manufacturer Arde Bulova after the Amalgamated Broadcasting System failed and began selling off its radio stations. New York socialite Bernice Judis was hired as WNEW's first General Manager. As a small, independent radio station, WNEW lacked the funds larger networks Columbia Broadcasting System, Mutual Broadcasting System, and the National Broadcasting Company used to produce daily programming common for that time such as comedy shows, soap operas and dramatic programs. However, Judis was not discouraged, and even welcomed the opportunity to develop her own schedule of innovative programming that included playing recordings of popular music throughout the day, creating the first all-night radio show, Milkman's Matinee, and cultivating a line-up of popular morning radio show personalities. 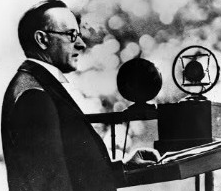 In 1935, WNEW pioneered the concept of a disc jockey when staff announcer Martin Block needed to fill time between new bulletins during his coverage of the Lindbergh kidnapping trial of Bruno Hauptmann. Block did not have access to a live orchestra to play music during the breaks as most network stations did, so he played records instead. Soon afterward, he piloted a 15-minute experimental show called the Make Believe Ballroom, during which he played records from popular bands and singers, posed as a live performance in an imaginary ballroom. During Block's tenure as host of Make Believe Ballroom, the show attracted 25% of the listening audience in New York City. The show continued in sporadic runs until the station's end in 1992. In 1936, as the popularity of recorded music grew, WNEW was the defendant in a lawsuit initiated by bandleaders Paul Whiteman, Sammy Kaye and Fred Waring claiming that the playing of records on radio broadcasts was undermining performers' network contracts, which often called for exclusive services. The court ruled that WNEW, after purchasing each record, was allowed to broadcast it regardless of the resistance from artists. WNEW's victory subsequently authorized radio stations across the country to start playing recorded music and brought about the modern radio programming landscape. In 1942, Judis set up a broadcast desk at the New York Daily News and WNEW became one of the first stations to carry hourly newscasts, something that would become commonplace in the industry over the next fifteen years. :22 The station ended its association with the Daily News in 1958 and went on to build its own news department with 13 reports and writers. In 1956...KYW 1060 AM in Philadelphia Penn gives calls to WTAM Cleveland. Philadelphia’s KYW has a long (and mobile) history. KYW began in 1921 in Chicago, Illinois. It was jointly owned by Westinghouse Electric Corporation and Commonwealth Edison. Westinghouse later bought out ComEd's share and became sole owner of the station. In 1927, Westinghouse aligned its four radio stations (KYW, KDKA in Pittsburgh, WBZ in Boston and WBZA in Springfield, Massachusetts) with the NBC Blue Network, which originated from former sister station WJZ (the present-day WABC) in New York City. Westinghouse had been a founding partner of the Radio Corporation of America (RCA), NBC's original parent company. 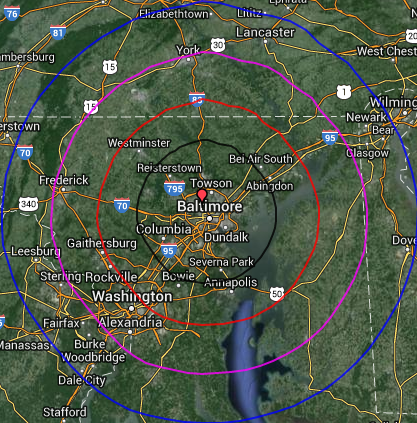 In 1934, the assignment of clear channels took a frequency away from Illinois and gave it to Pennsylvania, resulting in Westinghouse moving KYW to Philadelphia. Upon arriving, KYW supplanted WFI and WLIT (which merged as WFIL in 1935) as Philadelphia's Blue Network affiliate – an affiliation that lasted 20 years (according to the June 14, 1940 edition of the Philadelphia Daily News, KYW used the frequency of 1020 AM at the time). In March 1941, KYW changed frequencies to 1060 AM as part of a nationwide shift of radio frequencies mandated by the North American Radio Broadcasting Agreement. KYW and the other Westinghouse radio stations remained with NBC after RCA was ordered by the FCC to break up its radio networks, aligning with the former Red Network (the predecessor of modern-day NBC) in 1942. KYW acquired a television counterpart when Westinghouse bought WPTZ (channel 3) – the nation's third commercial television station and NBC's second television affiliate – in 1953. In June 1955, Westinghouse agreed to trade KYW and WPTZ to NBC in exchange for the network's properties in Cleveland, WNBK television and WTAM-AM-FM. Westinghouse also received $3 million in cash compensation. The main impetus for the trade was NBC's desire to acquire an owned-and-operated television station in the fourth-largest American television market. NBC had to seek a waiver for the swap since KYW and NBC Radio's New York City flagship, WRCA (now sister station WFAN) were both clear channel stations; at the time, the Federal Communications Commission (FCC) normally did not allow common ownership of clear-channel stations with overlapping nighttime coverage. After clearing final regulatory hurdles, the swap went into effect on February 13, 1956. NBC took over the Philadelphia stations, rechristening 1060 AM as WRCV (for the RCA-Victor record label), and Westinghouse moved the KYW call letters to Cleveland. However, almost immediately after the trade was finalized, Westinghouse complained to the FCC and the United States Department of Justice about NBC's coercion and an lengthy investigation was launched. In August 1964, NBC's license for WRCV radio and television was renewed by the FCC – but only on the condition that the 1956 station swap be reversed. Following nearly a year of appeals by NBC, Westinghouse regained control of WRCV-AM-TV on June 19, 1965 and subsequently restored the KYW call letters to the radio station (the television station became KYW-TV at this point). To this day, the KYW stations insist that they "moved" to Cleveland in 1956 and "returned" to Philadelphia in 1965. However, the two stations' facilities remained the same. CBS Corp, owner of the most-watched U.S. TV network, reported slightly higher-than-expected quarterly revenue and profit, helped by its Thursday night football broadcasts. CBS won the rights to broadcast eight Thursday night NFL games during the 2014 season, giving it one of the most highly prized programs on a night coveted by advertisers. Shares of the company, whose other hit programs include naval intelligence drama "NCIS" and comedy "The Big Bang Theory", rose 3.5 percent in extended trading on Thursday. CBS, which paid $275 million for the rights to the NFL games, charges close to $500,000 for a 30-second spot for the Thursday night telecast, analysts at research firm Trefis said in a note this week. According to Reuters, CBS's total advertising revenue rose 4.1 percent to $2.14 billion in the fourth quarter ended Dec. 31. Total revenue rose 3 percent to $3.68 billion. Net income from continuing operations fell to $402 million, from $422 million a year earlier. But earnings per share rose to 77 cents from 69 cents as the weighted average number of common shares outstanding declined. 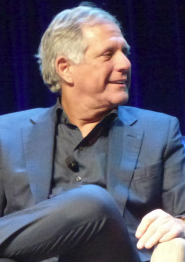 In the earnings release, CEO Leslie Moonves cited "increased demand for our content" as the reason for a strong quarter, and said he expected continued momentum. As for its cable networks—Showtime Networks, CBS Sports Network, and Smithsonian Networks—CBS said revenues increased 5 percent in part because of more money from Showtime original series licensing. Radio One, Inc. today reported its results for the quarter ended December 31, 2014. Net revenue was approximately $109.7 million, a decrease of 1.7% from the same period in 2013. Station operating income was approximately $42.5 million, an increase of 8.6% from the same period in 2013. The Company reported operating income of approximately $19.4 million compared to operating income of approximately $17.4 million for the same period in 2013. Net loss was approximately $13.5 million or $0.28 per share compared to net loss of $16.4 million or $0.35 per share, for the same period in 2013. Alfred C. Liggins, III, Radio One's CEO and President stated, "Our radio business showed sequential improvement from the third quarter, with revenues -2.8%. During the quarter we changed format from news to classic hip-hop in our Houston market; excluding Houston our radio revenues for the fourth quarter were +1.1%. Adjusting for a timing difference of our Women's Empowerment event in Raleigh, Q1 2015 core radio revenues are currently pacing –1.8%, having weakened throughout January. "Our Washington DC cluster continues to underperform the market, and we recently announced a new General Manager of the Washington DC market cluster by expanding the responsibilities of our own Jeff Wilson, Senior Regional Vice President." "Excluding our Washington DC cluster, our core radio revenues are currently pacing up about 1% compared to the same time last year. Our cable television business delivered 48.8% adjusted EBITDA2 growth in the fourth quarter, which helped drive consolidated adjusted EBITDA up by 18.8% for the quarter. TV One revenue and Interactive One direct revenue are both currently pacing up double digits for the first quarter." Liggins added, "I am pleased to announce that we have reached an agreement with Comcast Programming Ventures V, LLC to acquire their approximately 47.5% interest in TV One, LLC based on an enterprise value of $550 million. We have until June 30th, 2015 to finance and close on the transaction, after which either party can terminate." Nielsen NV posted sluggish revenue growth in its 4Q 2014 amid foreign currency effects and continued softness in developed markets. Revenue fell short of Wall Street expectations, while adjusted earnings came in just above estimates. Nielsen has bulked up its services in recent years through acquisitions, including last year's purchase of Harris Interactive Inc., a global market research firm that focuses on polling. Overall, Nielsen reported a profit of $158 million, or 42 cents a share, up from $145 million, or 38 cents a share, a year earlier. Excluding items, earnings were 81 cents. Revenue edged up 1.4% to $1.63 billion. Excluding currency effects, revenue grew 5.4%. Warner Music Group Corp. today posted a wider loss mostly on higher tax expenses in some countries for the quarter ended in December, while currency impacts took a bite out of the company's holiday sales growth, according to Marketwatch.com. Warner, the smallest of the world's three largest music companies--after Vivendi SA's Universal Music Group and Sony Corp.'s Sony Music Entertainment--has been moving faster than its competitors to strike deals to expand its online distribution. Chief Executive Stephen Cooper said the company was off to a strong start for its business year ending in September, citing some strong new releases during the holiday season. He also noted the company's investments in new opportunities "means that we are well-positioned to build on this success as the industry evolves." For the period ended Dec. 31, Warner Music reported a loss of $42 million, compared with a year-earlier loss of $37 million. Excluding acquisition-related impacts, expenses related to its cost-savings efforts and other items, operating earnings fell to $37 million from $42 million. Revenue increased 1.7% to $829 million. Excluding currency impacts, sales rose 6.6%. Digital revenue grew 14% excluding currency impacts, while recorded music sales improved 8% on that basis. Ned Colt, who reported from Asia and around the world for NBC News before joining two humanitarian agencies, has died in Boston after suffering a massive stroke. He was 56, according to NB C News. Colt had spent the past few years working for the International Rescue Committee and the United Nations office dedicated to refugees. Colt joined NBC News in 1996 in its London bureau, then moved to Asia in 1997, working from Beijing and Hong Kong. He was instrumental in the network's coverage of the Iraq war, and was kidnapped and held several days during his work on the story. Where Does The Buck Stop At NBC News?